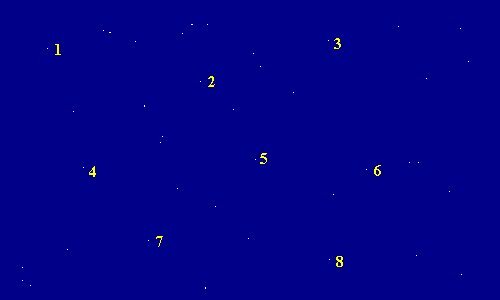 Simple Stars (2007) is a piece for two pianos in which each pianist plays musical passages independently of the other. While every performance will be different, there will be commonalities since the passages are totally written out and highly interrelated. The name of the piece derives from a structural interpretation of "complete graphs" of three or five nodes; the nodes are the passages and the lines connecting them are various modes of musical association. The piece is five rough parts; the odd parts are active while the even parts are quiescent--based solely on the notes E and F right in the middle of the piano keyboard.